North Carolina government has been taken over by right-wing politicians who have been hastily enacting the billionaire agenda — lower taxes for the rich, higher taxes for working people, the worst voter suppression laws in the nation, the privatization of education at the expense of the public schools, refusal to expand Medicaid simply to spite the president, cuts to unemployment insurance, the fast-tracking of fracking, and eagerness for oil drilling off North Carolina’s fragile coast. The chief source of resistance ought to be the state Democratic Party, but the state Democratic Party has been missing in action, largely because of exceptionally lousy leadership and debilitating scandals. The NAACP rose to the challenge. The Moral Monday events in Raleigh have irritated and embarrassed state government every step of the way. 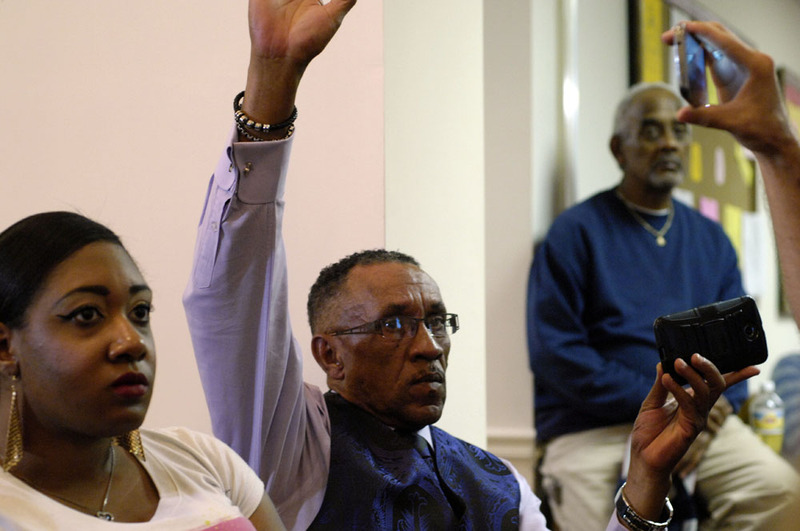 The mastermind of Moral Monday and the president of the North Carolina NAACP is the Rev. 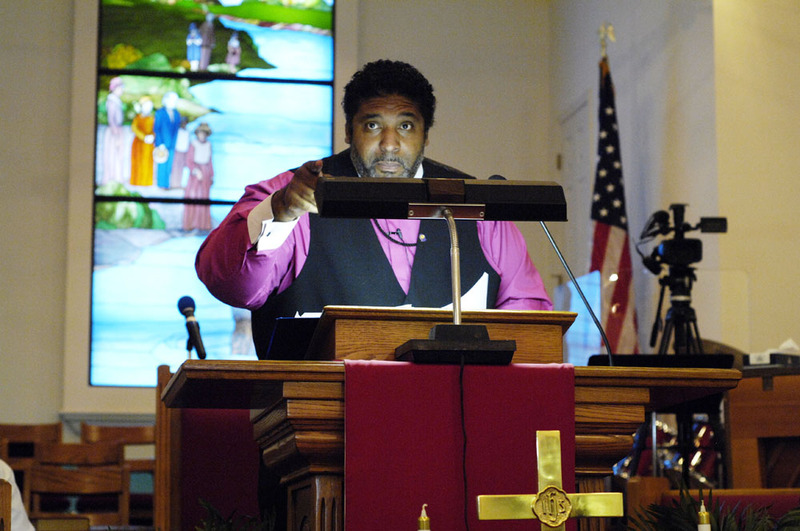 Dr. William Barber. 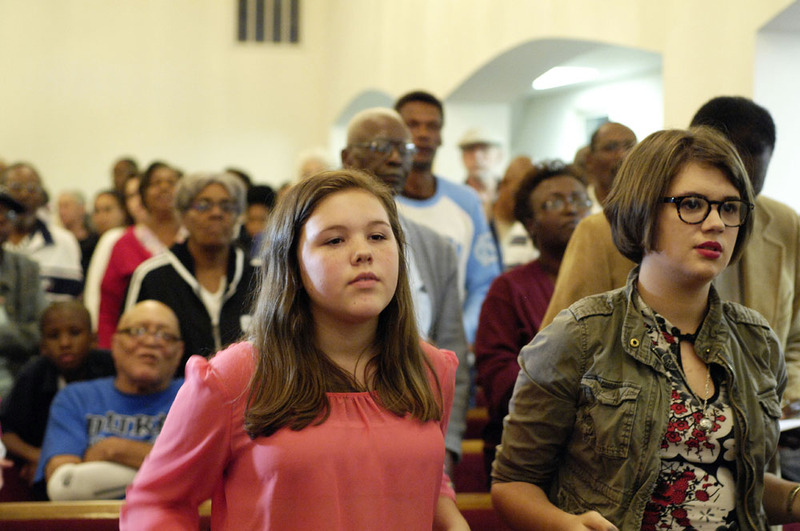 In the first two years of Moral Monday, not much was said about environmental issues. But now the NAACP has come out swinging on the matter of environmental justice. One of the catalysts was a deal between the state of North Carolina and the little town of Walnut Cove (in Stokes County) to do a core-sample drilling on town property to assess how much frackable gas might be down there. The site of this drilling is only a couple of miles from a large and dangerous coal ash impoundment owned by Duke Energy (at the Belews Creek Steam Station). It’s also near the Dan River, less than 20 miles upstream from a coal ash spill into the river last year. The coal ash impoundment and the core-drilling site are right on the edge of black neighborhoods. Last night, the Rev. Barber spoke in Walnut Cove. 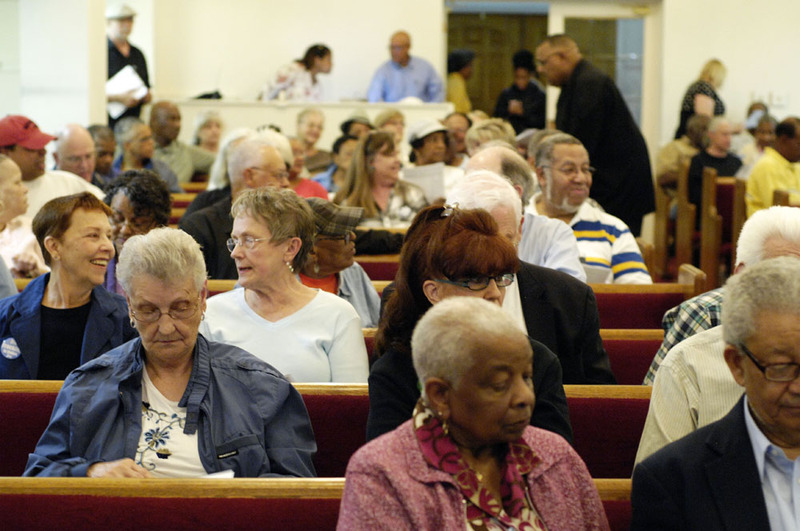 Actually, it was a sermon, in a small black church nearly full, half with black people and half with white. His sermon was about why taking care of the land and water is a moral issue. I have never heard anything like it. We white people were stunned, because we’re well aware of how some religious people find support for the exploitation of nature and “dominionism” in scripture. But the Rev. Barber found quite the opposite, drawing mostly from Genesis and Zechariah. Those of us who have been down in the grass roots for the last three years, locally fighting fracking, feel as though the cavalry have ridden in. It’s not just that the NAACP may file suits under Title VI of the Civil Rights Act. It’s also that no one is better at focusing attention on injustice than the NAACP, or better at organizing people. And frankly, those of us who have been working locally, more or less alone, managed to make our cry for help heard. I suppose it depends on what happens next. 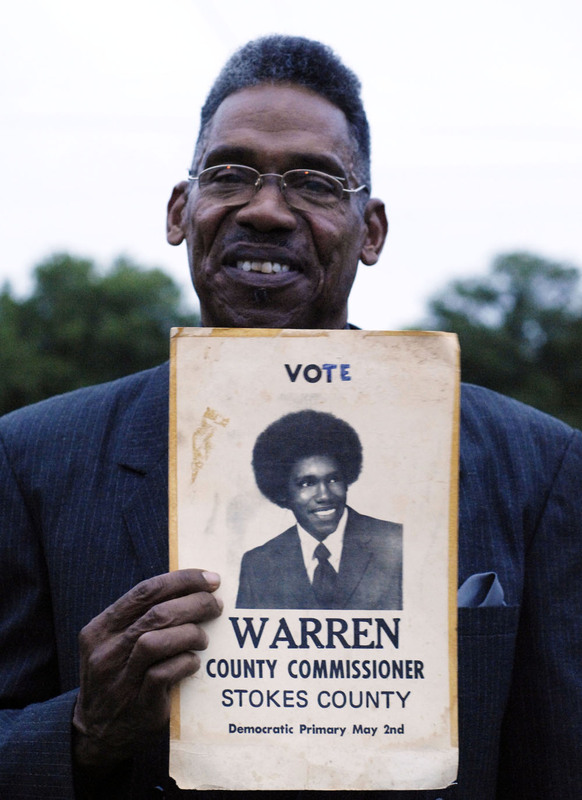 But it feels historic to have the NAACP’s most charismatic leader here in our little county. And I think it’s likely that right-wingers won’t control the state of North Carolina for long. They have overplayed their hand and exceeded their mandate, and lots of people including some Republicans are not very happy about it. This was historic in 1978. To my knowledge, no African-American has run for political office in Stokes County since then. We are working on that. This was written by daltoni. Posted on Thursday, June 4, 2015, at 9:15 am. Filed under Culture, Political issues, Stokes County, Sustainable living. Bookmark the permalink. Follow comments here with the RSS feed. Trackbacks are closed, but you can post a comment. Nice piece! I sincerely hope you’re right about something historic going on! Historically, we can’t continue down the road the Raleigh Republicans have laid out for us without major, negative consequences.